Disclaimer: This article contains a lot of code which contains comments wherever needed explaining what the code does. 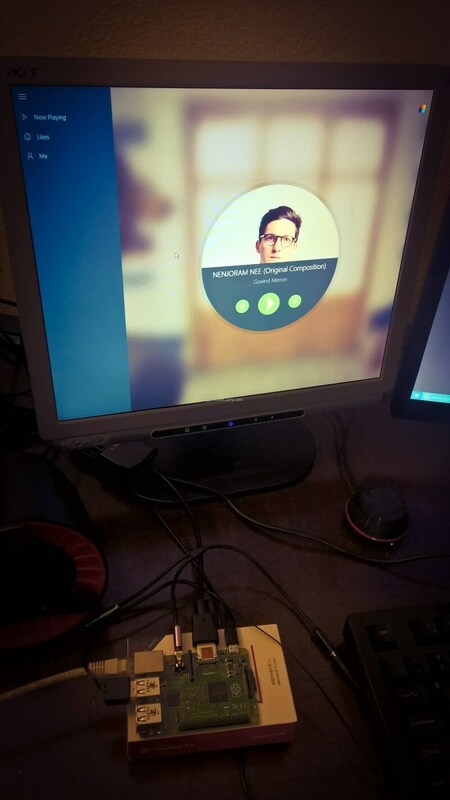 We will add Background Audio support to our App and fix the above limitations. 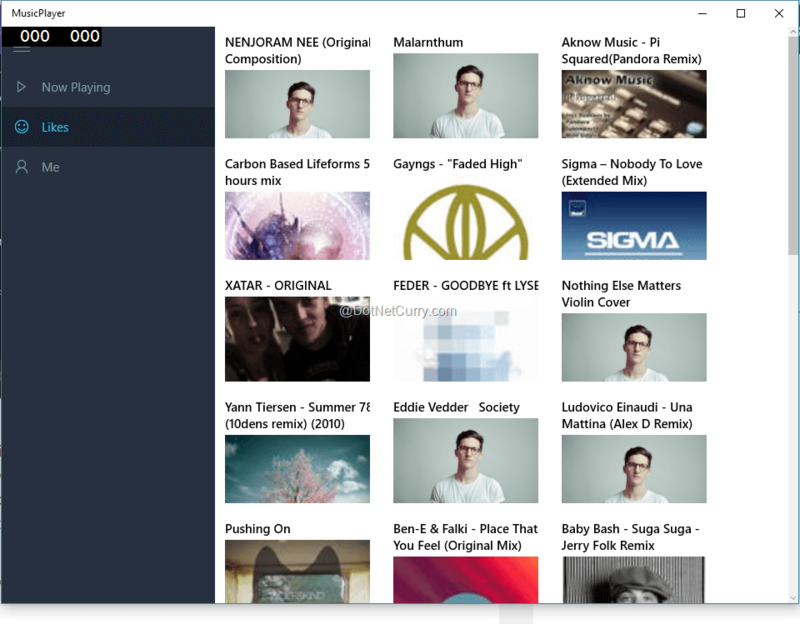 For Windows 10 development, it’s much easier to enable Background Audio and Manage playlist. To read more about the details of the implementation, read Background Audio (http://bit.ly/1H9mf9Y) MSDN documentation. 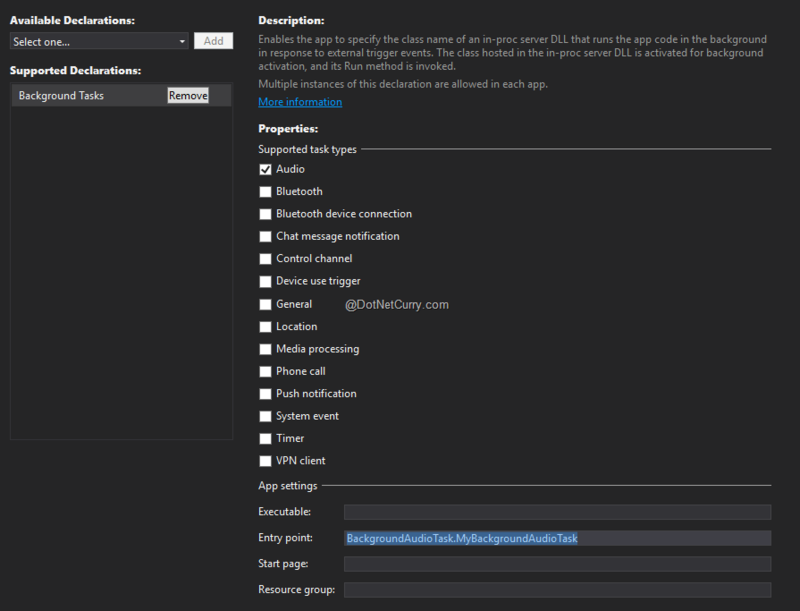 To make it simpler, we will use the sample Background Audio App provided by Microsoft which can be downloaded from GitHub (http://bit.ly/1NzKtPv) . Let us perform the following steps. I am assuming you have downloaded the source code of the previous article as well as Microsoft’s Github project. - Open the Package Manifest file for MusicPlayer project and Navigate to declarations tab. 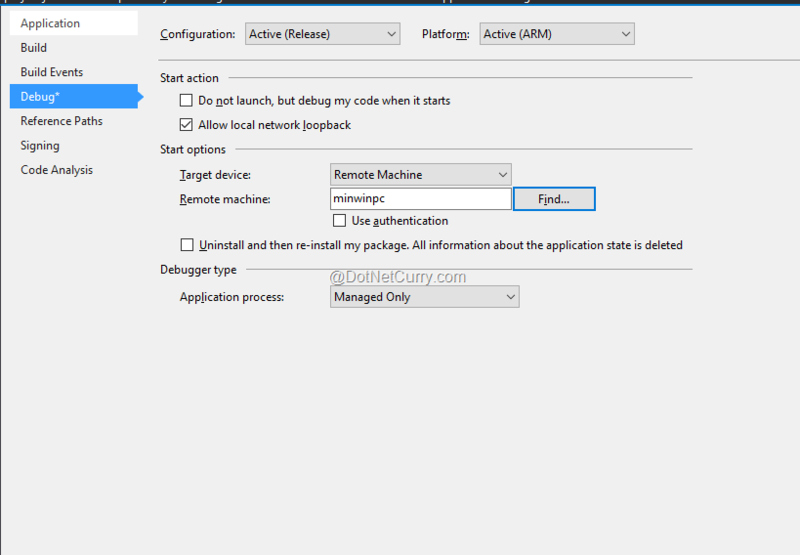 Add the Background Tasks declaration and set BackgroundAudioTask.MyBackgroundAudioTask as the Entry Point value. Make sure only “Audio” is checked under Supported Task Types. In the above code, we have added a GridView control and a Data template which will be used to display a list of all the Tracks added to our “Likes” playlist. 1. Set the ItemsSource property to global App.likes property. This will populate the Gridview with the list of tracks. 2. When an Item (Track) is clicked in the GridView, we also load the Track details and Send a Message to our Background Task which will control the media playback. In the above code, we added few controls to display the Profile Photo, Name, Website and some other details from SoundCloud. 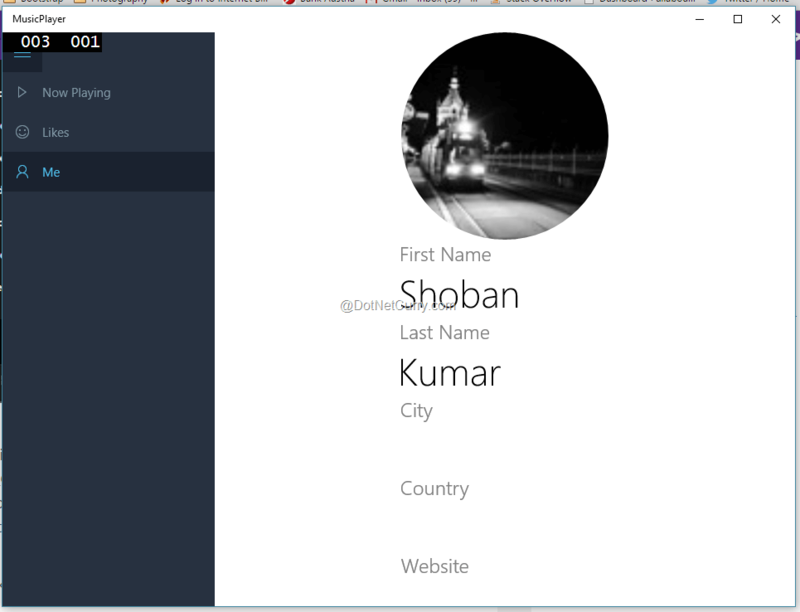 Add the following code to Me.xaml.cs to populate profile details from the new SoundCloudUser object. 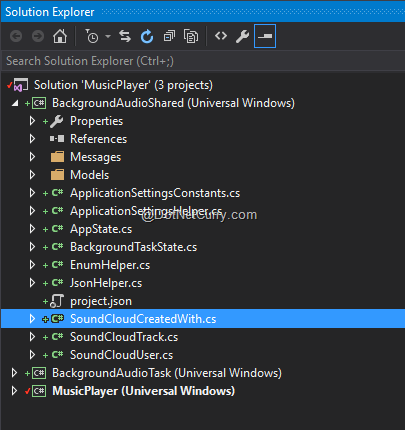 - Now add the following code changes to NowPlaying.xaml.cs. /// Gets the information about background task is running or not by reading the setting saved by background task. /// This is used to determine when to start the task and also when to avoid sending messages. //Update UI based on Track Id stored. 1. As soon as the Page is loaded, we check if the BackgroundTask is currently running and toggle playback. 2. If this is the first time or the Background task is not running, we start a new BackgroundTask and enable App to Background Task messaging. 3. This allows us to control the Media Player from our UI as well as get notified if Media controls (Keyboard, Phone Hardware buttons etc) are pressed, which can be used to display correct Track details if our App is in the foreground. 4. 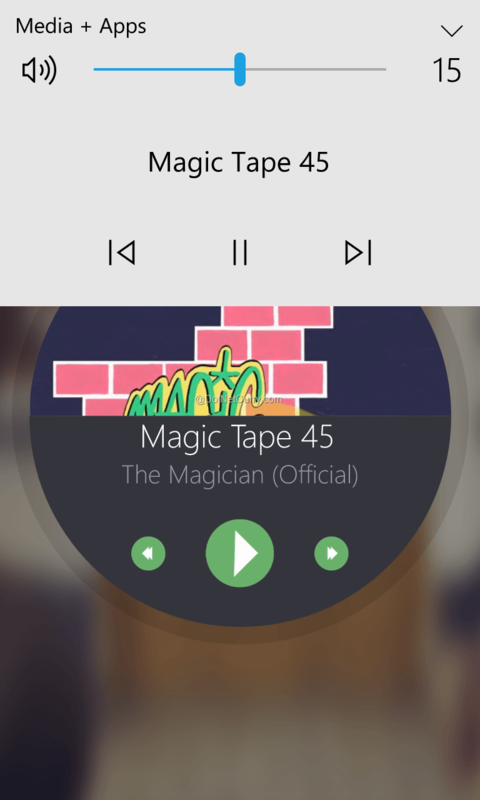 We also send respective Next/Previous Message to Background Task to move between songs in Playlist. 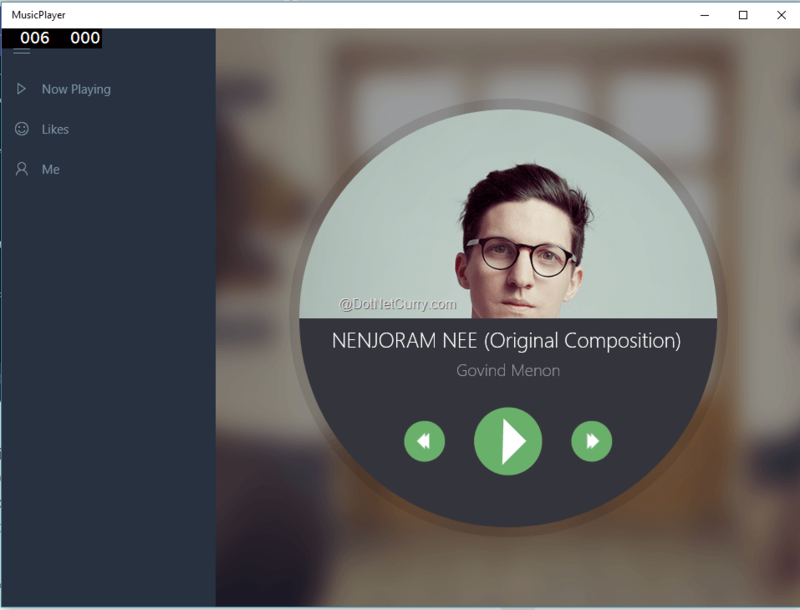 Here we updated the song model with SoundCloudTack custom object, handled messages from Foreground App, saved current Track Id and changed tracks. - Change UpdatePlaylistMessage.cs to use SoundCloudTrack object. Clicking any Track in Likes page will change the “now playing” Track to the selected track. Press any of the hardware buttons to show Media Controls. - Type WinAppDeployCmd devices and press enter to display the list of available remote devices. 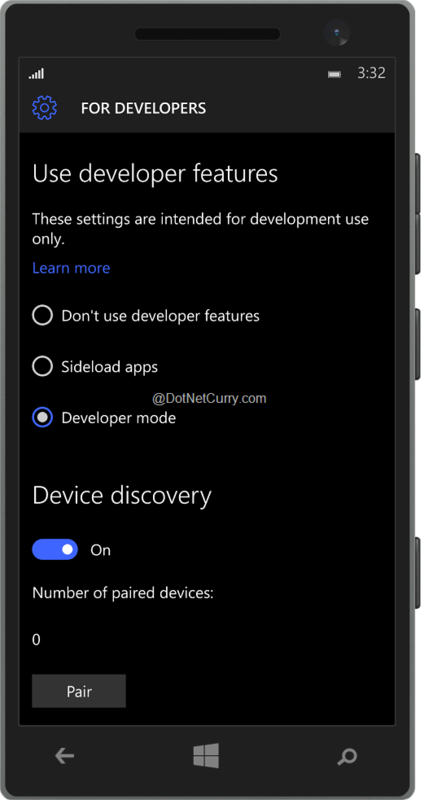 Make sure you enable developer features in your device and pair it with your development PC. - In the popup message. Select No for “Do you want to build packages to upload to the Windows Store” and click Next. 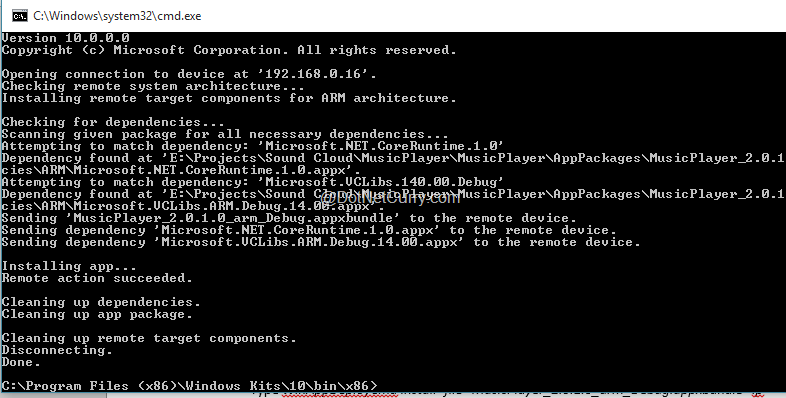 - Type WinAppDeployCmd install -file "MusicPlayer_2.0.1.0_arm_Debug.appxbundle" ip [YOUR REMOTE IP HERE] and press enter to install the App Package. 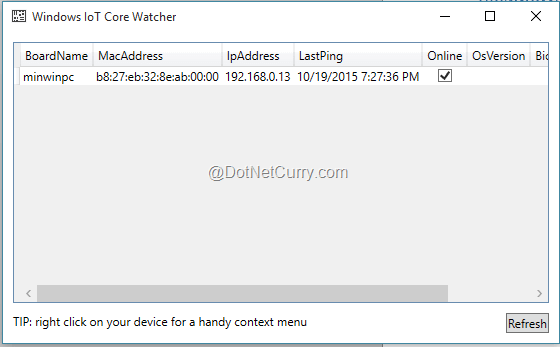 If everything is setup properly, you will see your Raspberry Pi 2 listed in Windows IoT Core Watcher. 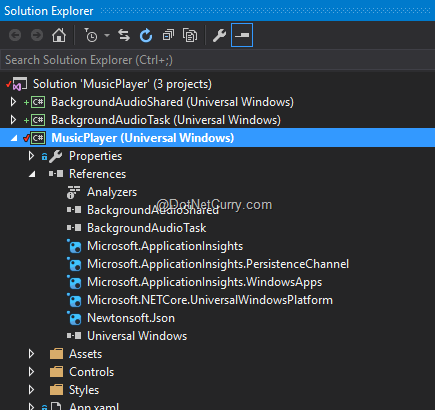 Open the Music Player solution in Visual Studio and follow these steps to deploy the App. - Enter the ip address of your Raspberry Pi2 or click Find to scan for multiple devices and select the Target device. 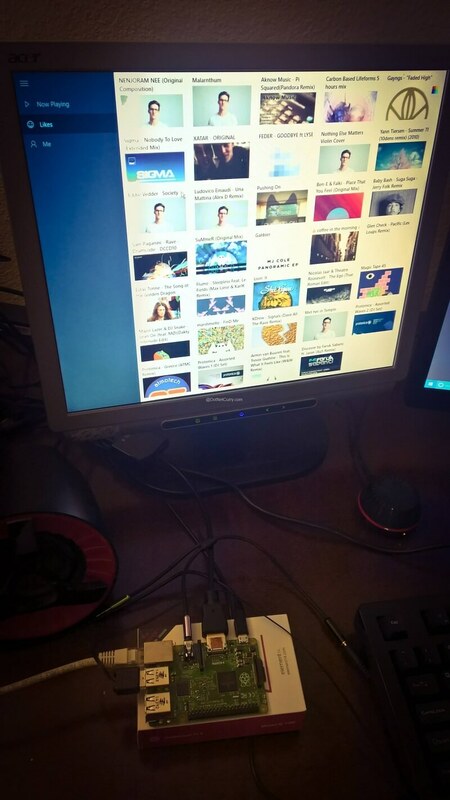 - Press F5 to deploy and debug the App or simply Right click Music Player Project -> Deploy to deploy the App and start enjoying your Sound Cloud Music player in Raspberry Pi 2.